I-275@Lawbg,US50 West,8.5mi LT-Dutch Hollow Rd, 1mi LT-Elm Circle Dr,home-RT.Sign on. WELCOME HOME! 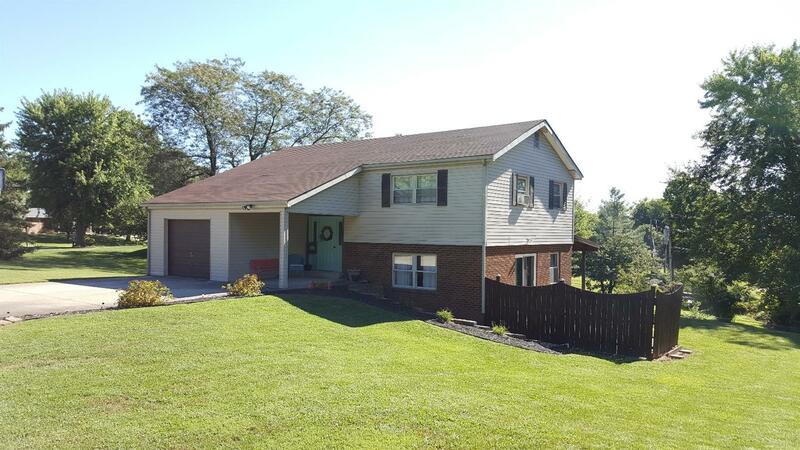 Beautiful rural setting,located on no-outlet road but close to US50,schools,town amenities,interstate,& more! Well-maintained home featuring covered deck on back,paver patio w/privacy fenced area,nice lg back yard, & front porch. Newer central air,Corian kitchen countertops,roof shingles,sliding door,& more! Ready to move-in! !